We mentioned it earlier, but we can't help but see where Mike Frerichs is getting his inspiration from these days: European Royalty. We mean...where else would a guy who is known to adore wearing earmuffs turn to to ground his approach as a 'public servant'? Just look at his history: Mike Frerichs failed to pay his property taxes for seven years. If you were trying to act like royalty, of course you wouldn't pay your taxes, right? If we drew a venn diagram that had on one side: people who wear a sash. And on the other: people who don't pay property taxes. Guess who would be in the middle? 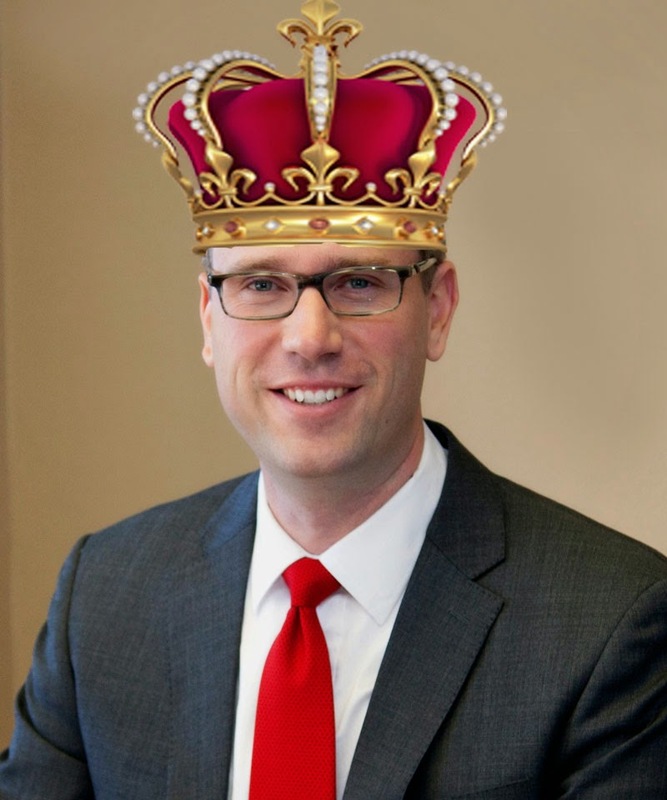 Just a few folks: European Royalty and candidate for Illinois Treasurer Mike Frerichs.